It’s time to welcome a new member to the Shadowhunters family! On day four of filming on the show’s pilot episode, ABC Family announced that Jon Cor has been cast as Hodge Starkweather in the network’s adaptation of Cassandra Clare’s bestselling Mortal Instruments series. Hodge, who is described as “the weapons trainer at the Shadowhunters New York Institute and a former Circle member,” will be a recurring role in the series. 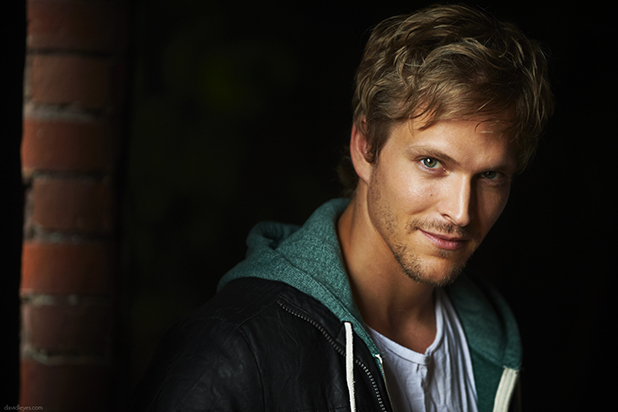 Burbank, CA (May 28, 2015) – ABC Family has cast Jon Cor (“Dark Matter”) as Hodge Starkweather. It was announced today by the network. Cor will be a recurring guest star on the series. “Shadowhunters” is produced by Constantin Film and executive produced by Ed Decter and McG. McG will also direct the first episode. The network has previously announced Katherine McNamara as Clary Fray, Dominic Sherwood for the role of Jace Wayland, Alberto Rosende as Simon, Emeraude Toubia as Isabelle Lightwood, Matthew Daddario as Alec Lightwood, Isaiah Mustafa as Luke Garroway Harry Shum Jr. as Magnus Bane and Alan Van Sprang in the recurring guest star role of Valentine. Shadowhunters is currently filming in Toronto. The show will premiere in early 2016 on ABC Family. Welcome to the family, Jon! Cassandra just confirmed on twitter that Hodge is actually suppose to be younger than Clary’s mom. He’s 36 not in his middle 50, the movie director just casted someone older. MCG is still on the money, his casting has been awesome so far. OH HOT DAYUM!!!! *fans self* I’m in love with Hodge already. Can’t wait for Jon Cor to play Hodge!!! Woop woop! A lot more weapons trainer than never-goes-outside and roams the library but I’ll roll with it. Hot damn i never never thought i would have a crush on hodge, oh god. Send help!!! Hmmmm… Isn’t hodge supposed to be older? Maybe I am remembering wrong. Anyways I pictured him older. But I am not against this casting it could be great! If Hodge is 30 in current events, you know what that means? TWELVE-YR OLD HODGE IN THE CIRCLE. Which is pretty sad. Just because Jon Cor is chronologically 30 doesn’t mean that the Hodge in the show is going to be called out as being 30 years old. They can still say he is 36, or 40 even if they want. It’s much easier to make someone look older and withered than it is to make someone looked younger. I hope they don’t turn him into a hero like in the movie. That would really throw a spanner into the plot. It will be cool if the aspect of Hodge’s curse is developed and his raven “familiar” is included. He looks more like Jace that Hodge but i got to tell you he is HOT!!! Why is Hodge so HOT? I agree with Pilar sundblad he looks more like Jace than Hodge. No offence to Dom because I like him as Jace but just going on appearance this guy looks more like how I pictured Jace.